Kahelelani was the name of an ancient ruler of the island of Niʻihau. The tiny seashell that is made into the finest lei on the island now bears the name of Kahelelani. Raise your hand if you’ve ever been to Niʻihau. Any hands up? For most of us, the closest we’ll ever come to Niʻihau is seeing it from Kauaʻi—seventeen miles across the 3,500-foot-deep Kaulakahi Channel. 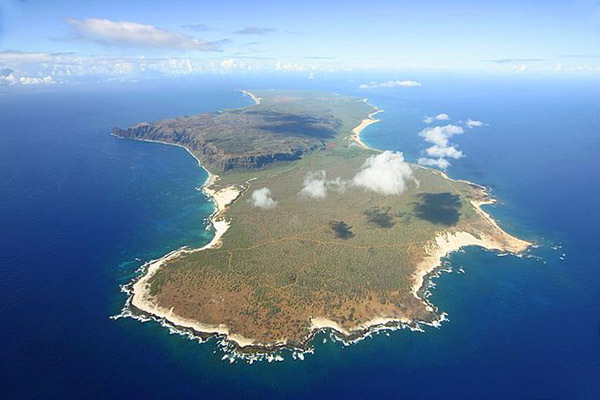 Niʻihau is owned by the Robinson family, who descend from the people who first purchased the island. Since Niʻihau is private property, only those who receive an invitation or take a special tour are allowed to go there. So not many of us know much about the island. Here’s our chance to learn more! The one thing you don’t need on Niʻihau is an umbrella! The tall mountains on Kauaʻi block most of the rain that might otherwise reach Niʻihau. Even Niʻihau’s tallest peak, Pānīʻau (1,281 feet above sea level), does not catch the rain clouds that pass above it. With so little rain, there is no permanent forest on the island. 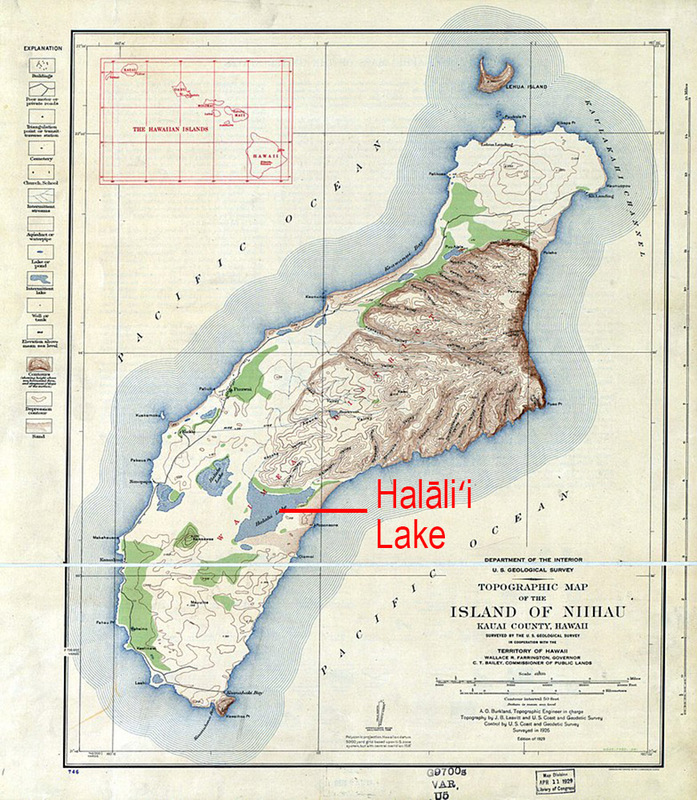 However, Niʻihau is home to the biggest lake in all of the Hawaiian Islands—Halāliʻi Lake, which covers more than 841 acres—though it sometimes dries up due to lack of rainfall. Despite limited water on the island, Niʻihau has had many new species introduced into its ecosystems over the years. These include the first Arabian horses in Hawaiʻi, game birds, honeybees, coffee, tea, cotton, and other species of trees—although some of these did not get established and are no longer seen on the island. Kiawe trees grow well in the dry climate of Niʻihau. These trees are a relative of mesquite and were planted a few generations ago on Niʻihau. Among the kiawe trees roam not only pigs, sheep, and cattle, but also African animals such as eland, aoudad, and oryx. These exotic animals came from Molokaʻi Ranch after its wildlife safari park closed in 1997. Niʻihau residents raise their own pigs and also have free access to hunt wild pigs and any of the other wild animals on the island. The Robinsons sell beef to residents at prices far below what the public normally pays. One of the most unique things about Niʻihau is that everybody speaks ʻōlelo Hawaiʻi, the Hawaiian language! People from Niʻihau have been a huge part of the movement to revitalize ʻōlelo Hawaiʻi throughout the islands. In fact, Niʻihau’s Lolena Nicholas, affectionately known to thousands of Hawaiian-language speakers as “Aunty Lolena,” was one of the first teachers at the Pūnana Leo immersion preschools. 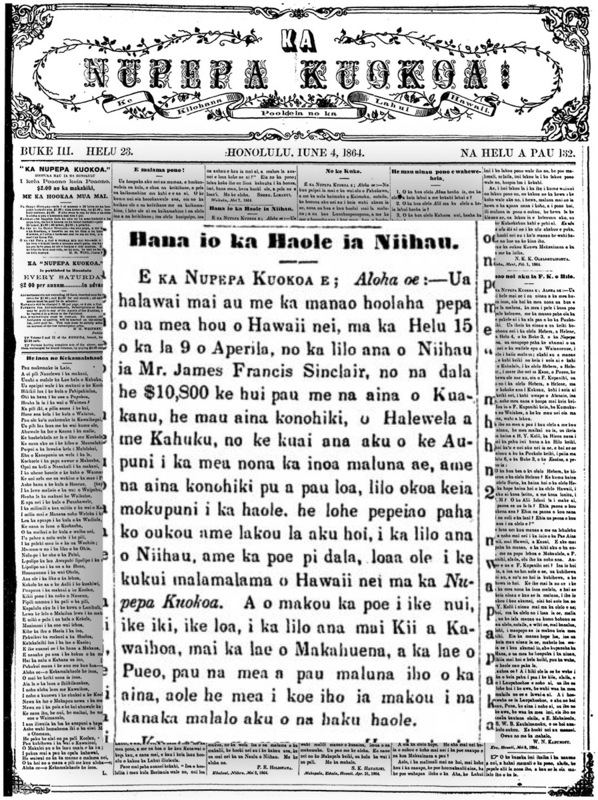 Niʻihau is the only remaining community in Hawaiʻi where all of its residents still speak ʻōlelo Hawaiʻi. In fact, a unique kind of Hawaiian is spoken on Niʻihau. The letters and grammar are slightly different than in other parts of Hawaiʻi, and ʻokina and kahakō are rarely used. For example, the word for light in ʻōlelo Hawaiʻi is “kukui,” but on Niʻihau it is “tuitui.” In ʻōlelo Hawaiʻi the word for difficult is “paʻakikī,” but the word in ʻōlelo Niʻihau is “paakati” or “paakiti.” For people who speak standard Hawaiian, understanding ʻōlelo Niʻihau sure can be paakati! 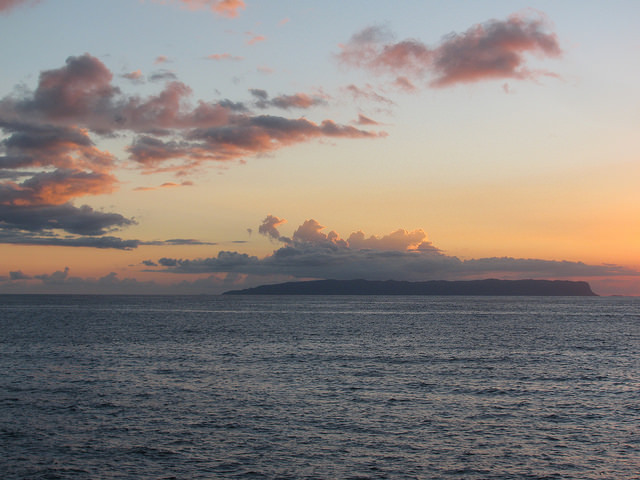 The people of Niʻihau have a special relationship with the land. Many get food for their families by fishing or hunting. People mostly get around by bicycle, horse, or just by walking. The few cars on the island are used for work. There are no stores, hotels, police, or hospitals. Alcohol is not allowed, and tobacco usage is discouraged. The only guns allowed are for hunting safaris, which help generate income for the island. Some may consider this way of life to be old-fashioned. But Niʻihau is actually demonstrating a sustainable lifestyle that many people are now trying to emulate. The people of Niʻihau try to keep material wants in check and produce as much of their own food as they can, such as sweet potato, mango, papaya, corn, pumpkin, melon, and banana. Many houses have solar panels, and the school on Niʻihau is one of the few in the nation that is completely solar powered. For a short time, Niʻihau was under the control of Russia. In 1816, a man named Georg Anton Schäffer made an agreement with Kaumualiʻi, the chief of Kauaʻi and Niʻihau, that put Niʻihau under Russian protection. However, the agreement was not authorized by the czar of Russia! When the czar found out, he sent officials to Hawaiʻi and ejected Schäffer from the islands in 1817. 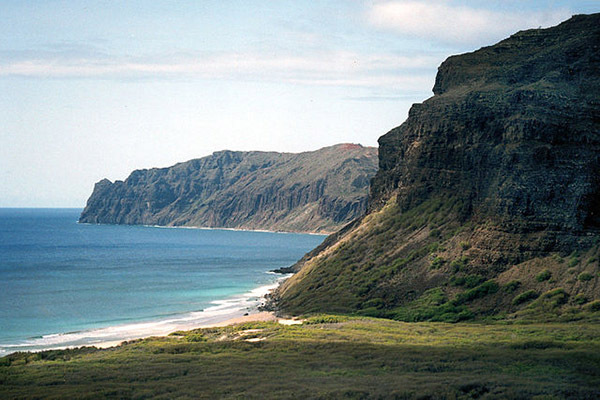 Niʻihau is a dry place with few trees, and kalo is not easily grown on the island. In the past, kamaʻāina had to barter for any wood they might need. When the Māhele provided an opportunity for Hawaiians to purchase the land they lived on in the early 1850s, the people of Niʻihau announced that they were ready to buy. They petitioned the government to send a surveyor to measure the land and determine boundaries. Unfortunately, the residents of Niʻihau were unable to produce enough to purchase their lands. They were forced to rent land over the next decade from the monarchy. The person who collected the money for the king often complained that he did not receive rent from everyone. This set the stage for the arrival of Eliza Sinclair, a wealthy sixty-three-year-old widow of a Scottish sea captain. The Sinclairs, having outgrown their landholdings in Aotearoa/New Zealand, first went to Vancouver Island in Canada to look for a new place to live. Unhappy with what they found there, and believing the land would be too rough for a successful ranch, they sailed to the Kingdom of Hawaiʻi. Eliza, along with all of her children and grandchildren—a dozen in all—arrived in Honolulu Harbor on September 17, 1863. They had sailed on the Bessie, a three-hundred-ton ship carrying sheep, a cow, hay, grain, chickens, jams and jellies, books and clothing, and a grand piano. Eliza soon made friends with Alexander Liholiho (Kamehameha IV) and was offered large areas of land at Mokuʻumeʻume (now known as Ford Island), ʻEwa, and Kahuku. Not finding a place that was suitable to their likings, the Sinclairs were going to leave and find land somewhere else, so the king offered to sell them the entire island of Niʻihau. The Sinclairs were happy with Niʻihau and offered to buy it for $6,000 in gold. But the king wanted $10,000—which would be about $1.5 million in today’s money. The Sinclairs agreed to the price and paid the government sixty-eight pounds of gold. Alexander Liholiho died before the transaction could be completed, so his brother Lot Kapuāiwa (Kamehameha V) signed for the government. After the Sinclairs bought Niʻihau, more than half of the island’s population departed. Many were disappointed that they had not been able to purchase the land they had been connected to for so long. Prior to the Sinclairs’ arrival, 650 people had been living on Niʻihau; two years later, there were only 325. Later in the 1800s, this figure dropped to below 200. The people who stayed on Niʻihau had to kill their dogs because the new owners did not want the dogs bothering their sheep. Residents also had to provide three days of work a month to the Sinclairs, just as they did under the traditional land system. 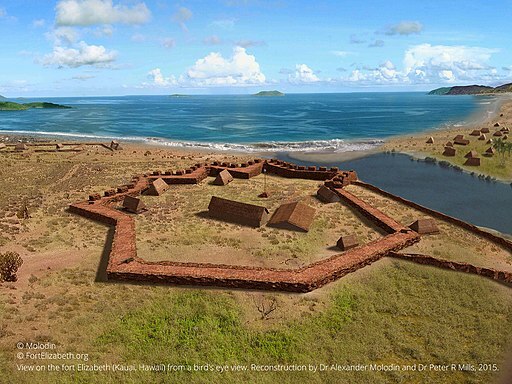 The Sinclairs set up at Kiʻekiʻe, where they lived for a few years. Eliza then decided to buy land at Makaweli, on the lush west side of Kauaʻi, which became the base of economic operations for the family. The family soon learned Hawaiian and became expert horsemen. The men and boys in the family also became known as good surfers. It is said that the Sinclairs remained close to the royal family and opposed the overthrow of the Hawaiian Kingdom in 1893. In the early 1900s, the Robinsons closed Niʻihau to visitors. One account says that Aubrey Robinson closed the island to visitors in 1915. Another account says the family cut off visits to Niʻihau in the 1930s to protect against introduced diseases, because measles had killed eleven children on the island. The limited fresh water on the island also reduced the number of invited visitors. Shortly before World War II, a colonel from the US Army Air Corps visited Niʻihau. He was concerned that all the open land there might allow another country to use the island as a base for a surprise air attack. So the Robinsons had workers plant trees as windbreaks and dig long furrows in the ground so that airplanes would not be able to land or take off from the island. To this day, some of these furrows can still be seen in aerial photos of Niʻihau. Just months after the furrows were completed, Pearl Harbor was attacked. During the air strikes, one of the Japanese fighter planes was damaged and couldn’t make it back to the aircraft carrier. So the pilot decided to make an emergency landing on Niʻihau. His plane hit a fence and broke its landing gear in the furrows. The rough landing knocked him out. A Niʻihau resident named Howard Kaleohano hurried over to help the pilot. Kaleohano freed him from the cockpit and took the pilot’s pistol and some papers he thought “looked important.” The two-way radio on the island was broken, so people on Niʻihau did not yet know about the attack on Pearl Harbor. But Kaleohano knew that a Japanese war plane crashing on the island meant that something was going on. The pilot’s name was Shigenori Nishikaichi. Kaleohano and Nishikaichi could not communicate, so they went to find Ishimatsu Shintani, another Niʻihau resident. Shintani was originally born in Japan, and Kaleohano asked him to translate. Nishikaichi and Shintani exchanged a few words in Japanese. Shintani grew pale, refused to translate what had been said, and left. Other Niʻihau residents had shown up by that point, and someone was sent to get the only other people on the island who spoke Japanese: Irene and Yoshio Harada. The pilot told the husband and wife about the attack on Pearl Harbor, but the Haradas decided not to convey this information to their fellow Niʻihau residents. Things settled down, and the pilot was kept under guard. The Niʻihau people treated him well, even taking him to a lūʻau that evening. The pilot stayed with the Harada family under guard for the next few days. The three of them took advantage of the fact that others couldn’t understand Japanese, and they began plotting what to do next. On December 12, five days after the initial attack on Pearl Harbor, Irene Harada played loud music on her phonograph to cover up what was happening. The pilot and Yoshio Harada then overpowered the guard and locked him in a warehouse. Harada broke into an unoccupied house that belonged to the Robinsons and stole a shotgun and ammunition. He also found the handgun Kaleohano had taken from Nishikaichi when he first landed. The pilot and Harada went in search of Kaleohano to retrieve the pilot’s papers. They spotted Kaleohano and shot at him as he ran away. Kaleohano immediately warned others in Puʻuwai about what was happening. People in the village fled, while Kaleohano and five other men got in a lifeboat and began the ten-hour paddle to reach Kauaʻi and inform the Robinsons. 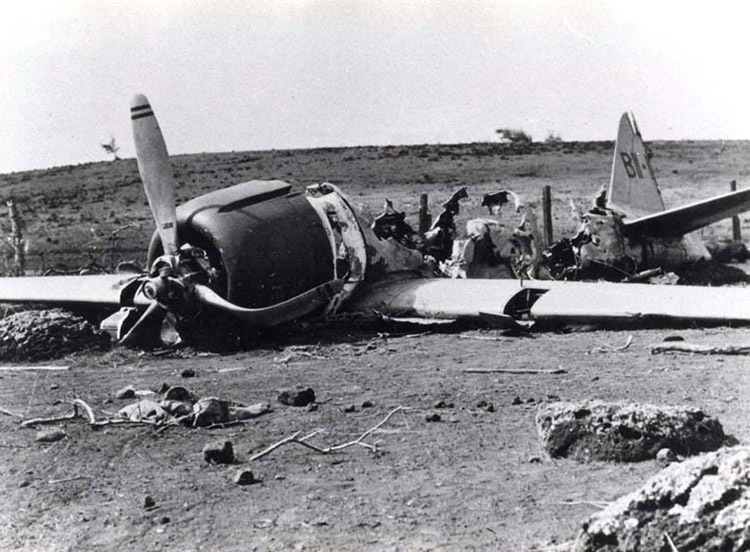 The pilot terrorized the people of Niʻihau. He rounded up as many of them as he could and fired off the machine guns from the plane’s wings, setting both his plane and Kaleohano’s house on fire. The pilot demanded to know where Kaleohano was, not aware that he had already departed for Kauaʻi. The next morning, Nishikaichi captured a husband and wife, Benehakaka “Ben” Kanahele and Kealoha “Ella” Kanahele. He threatened to kill both of them if Kaleohano was not brought to him. But when Nishikaichi was handing his shotgun to Harada, Benehakaka rushed the pilot and attacked him. Benehakaka was shot three times in the process, but he still managed to pick up the pilot and slam him into a rock wall. Kealoha struck the pilot with a rock, and Benehakaka finished him off. Once Yoshio Harada saw what happened to the pilot, he killed himself. The next day, Kaleohano returned to Niʻihau with five more Hawaiian men, a heavily armed military squad, and one of the Robinsons. 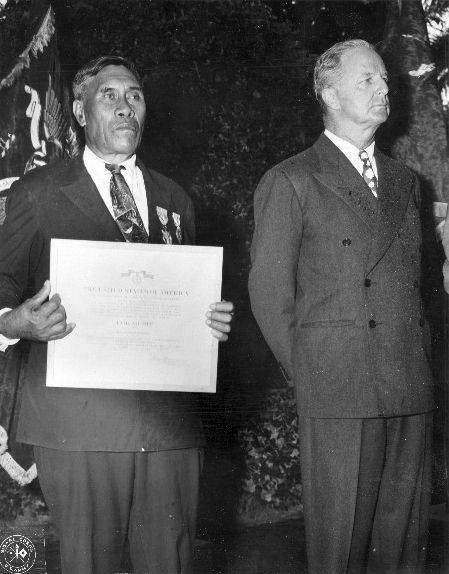 Kaleohano and Benehakaka were later awarded presidential medals for their efforts. Shintani ended up in an internment camp, and Irene Harada was arrested, though never charged. Since World War II, the Robinsons have had strong connections with the US military. This has included top-secret projects that residents of Niʻihau were not allowed to discuss. One example was the Distant Early Warning Line. This series of radar stations stretched across the Aleutian Islands, the arctic areas of Canada, Greenland, and Iceland. The stations were set up from 1957 to 1985 to warn the United States of incoming attacks. Niʻihau was one of the places the system was tested before it was put into use. Even today, Niʻihau hosts unmanned naval radar sites that are used together with the Pacific Missile Range Facility on Kauaʻi. These military ties are sometimes controversial. There have been protests against the Robinson family, but the partnership with the US military continues. Over the years, Niʻihau has been used as a training ground for US Marine sniper teams, Army Special Forces, Navy SEALs, and Air Force pilots. As part of this training, some of the Robinsons and residents of Niʻihau have become adept at tracking and hunting down the servicemen. In one exercise, a young marine is said to have been captured by a ten-year-old Niʻihau girl! Traditionally, Niʻihau is known as the first stop for the akua who came from the mythical land of Kahiki. For example, Pele first stopped on Niʻihau and tried to dig her home there. But the sea rushed into the hole, so Pele moved on to the next island, and the next, until she reached her current home of Kīlauea on Hawaiʻi Island. 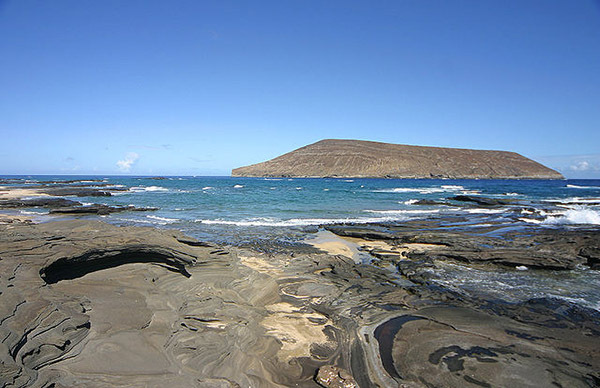 Niʻihau was a temporary stop for akua. However, the shark guardian Kūhaimoana made Niʻihau his home, living in a sea cave on the island of Kaʻula, which is twenty miles off the coast of Niʻihau. Kūpuna from Niʻihau tell stories of going to Kaʻula and feeding Kūhaimoana by pouring ʻawa into the ocean in the cave. One kupuna mentioned that he could see something moving down below when they offered the ʻawa. Kūhaimoana protects an area of the sea named Kekaikapuokū, or “The Sacred Seas of Kū.” He will try to save anything or anyone who falls into the ocean in that area. But if you fall in the ocean outside of that area, he is unable to help. Tradition tells of Kūhaimoana fighting a great battle to protect the surfers of Niʻihau from Luahiva, a kupua from Kahiki who could turn into a honu, or turtle. Luahiva had come to visit and told Kūhaimoana he wanted to eat “crabs.” By crabs, he meant the surfers! Kūhaimoana explained that the surfers were under his protection. But Luahiva wouldn’t listen, so they got into a fierce fight. Luahiva was pushed ashore, where he turned into stone. You might have heard of other legendary sharks besides Kūhaimoana—such as Kamohoaliʻi, Mikololou, Kaʻahupāhau, and others—but have you heard of legendary trees? Five famous ʻulu, or breadfruit, trees in the Kawaihoa part of Niʻihau, are spoken of in song and story. The five trees were named Hikinaakalā, Kulimoku, Hakaleleaponi, Kalama, and Nāʻuluhuaikahāpapa. The trees were kupua from Kahiki. Like Luahiva, they had come to visit and have a nice time on Niʻihau. But they were having so much fun that they forgot they were supposed to return to Kahiki before sunrise. So when dawn came, they all turned into ʻulu trees—the only ʻulu trees that were ever on the island. Only Nāʻuluhuaikahāpapa survived into recent memory. It had been planted in a hole in a limestone reef near the beach. It needed to be in the hole so it could reach the fresh water below. When the tree grew to maturity, all of its branches were about the height of the reef. People could walk up to the tree and harvest the ʻulu without having to climb the tree. Sadly, it is possible that Nāʻuluhuaikahāpapa is no longer around: A newspaper article in 1997 noted a dead breadfruit tree in a sinkhole near the beach. Another famous plant is the kō ʻeli lima o Halāliʻi, the “sugarcane of Halāliʻi that is dug by hand.” Sugarcane was first planted in the nineteenth century near Halāliʻi and Waihonu. Initially, Aubrey Robinson put a kapu on the sugarcane to make sure it could get established. The kō grew near sand dunes, which shifted with the wind. When the wind blew the kō down, the cane would get covered with sand. When it was time to harvest, the people had to dig in the sand with their hands to find all of the stalk. We often think of flowers and plants when we think of lei. But on Niʻihau, lei are made from shells. These are not the cheap shell lei you find in stores in Waikīkī. These are intricate, beautiful works of art made by the people of Niʻihau—and sometimes Kauaʻi—using hundreds and thousands of tiny shells that have been carefully gathered, prepared, and selected. Some artisans work for months or even years on a single lei. When Captain Cook arrived in Hawaiʻi in 1778, one of the gifts he received was a Niʻihau shell lei made of mostly kahelelani shells. This lei is now housed in the British Museum. 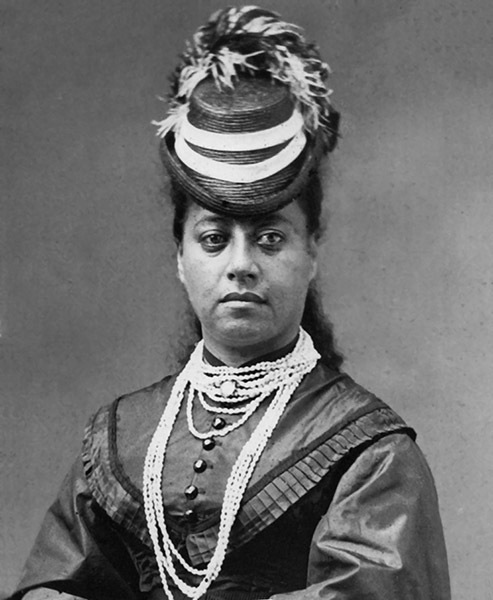 Niʻihau shell lei became fashionable in the Hawaiian Kingdom, with aliʻi (chiefesses) like Queen Emma and Queen Kapiʻolani wearing shell lei in their formal portraits. It is said that Kapiʻolani’s shell lei caused quite a stir when she attended Queen Victoria’s jubilee in London. 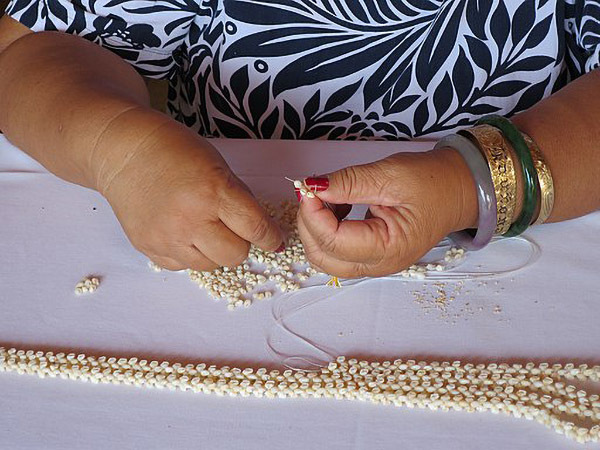 The people of Niʻihau are not the only ones who make shell lei. However, over the years, Niʻihau has earned a reputation for fine craftsmanship and for having the highest-quality shells. The shells that wash up on Niʻihau are the finest in Polynesia. The healthy environment and lack of pollution running into the sea produce shells with an uncommon luster. Experts can look at the shells in a lei and tell if they are from Niʻihau. It takes hard work and skill to gather, sort, prepare, and string small shells into a pleasing pattern. There are many options for gathering shells on Niʻihau, and lei makers have their preferred places: Taununui, Pahuhau, Waiapalo, Tahio, Puketua, and Putaiti. Shells are pierced with a specially designed needle and strung together in various styles such as wili, square tie, poepoe, crown flower, pīkake, and others. The shells come in a variety of types. Among the most commonly used are momi, laiki, and kahelelani. Within each type, the shells are further categorized by color. For example, colors for momi include tua ula (off-white), uliuli (blue), tahataha (gold), onikiniki eleele (black striped), lenalena (butterscotch), teoteo maitai (pure white). The rarest colors are the most valuable. Niʻihau shell lei can cost up to $30,000! For many, it’s not easy to get to know Niʻihau. The island has been privately owned for more than 150 years. Sometimes people have been so curious about Niʻihau that they go to great lengths to learn more. In 1957, a newspaper reporter even crashed his small airplane on Niʻihau just so he could take pictures there—definitely not something we would recommend! So if you want to get to know Niʻihau better, go online, or go to the library and read books about the island. It’s much safer than a crash-landing!